As part of our ongoing series of Q&A’s with the world’s leading literary agents, scouts and rights managers, Publishing Perspectives talks to Cecile Barendsma, foreign rights agent at Janklow & Nesbit Associates in New York City. What titles are you particularly excited to represent right now? Several titles that JNA represents generated attention in the lead-up to the London Book Fair this year. 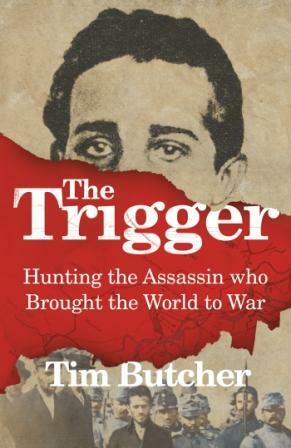 Among them is The Trigger by Tim Butcher, mentioned in in Roger Cohen’s NYT column of March 17th that directs readers to Butcher’s “riveting” history of the 19-year-old Bosnian Serb nationalist who killed Archduke Franz Ferdinand in 1914. Porter Fox’s Deep: The Story Of Skiing And The Future of Snow, a book that commanded a cult following and was featured for its wise commentary on climate change on NPR and CBS television. Which international markets do you see offering the most potential? International rights sales are active throughout the world and the JNA rights team sees continuing growth in translation deals in Asia. Fiction sales for literary authors like Dinaw Mengestu, and debut writer James Scott have been notable in recent months. A few emerging trends in the foreign markets that JNA expects to develop further are a renewed interest in nonfiction, particularly health, wellbeing and women’s issues; in fiction, a taste for storytelling that mixes genres and crosses age groups; and for novels that incorporate unique features, much like an “enhanced” print book, thereby challenging the “p” vs “e” debate. JNA also sees the American market becoming more receptive to a wide range of fiction from abroad. Recent deals were struck for two German authors Jan-Philipp Sendker’s next two novels to Dawn Davis at Atria, and Nina George’s novel to Christine Kopprasch at Crown. Cecile Barendsma is a foreign rights agent at Janklow & Nesbit Associates in New York City. She launched her international publishing career as a scout at Mary Anne Thompson Associates, then joined JNA in 1998. Cecile has handled rights to books by, among others, Tom Wolfe, Andre Aciman, Dinaw Mengestu, Jan-Philipp Sendker and Laura Hillenbrand.